All the children were delighted to spend the afternoon training with Renshi Scott. Renshi Scott held a special class and party that focused on celebrating the upcoming holidays with an ‘Attitude of Gratitude’. Renshi Scott explained to the children that holidays like Christmas are about much more than receiving presents, it’s also a time to be grateful for what we already have and enjoy. The children also enjoyed Renshi’s special introduction to grappling (Brazilian Jiu Jitsu) and loved the different games played to hone their grappling abilities. It wasn’t all hard work that day, the kids were treated to pizza and prizes as well. 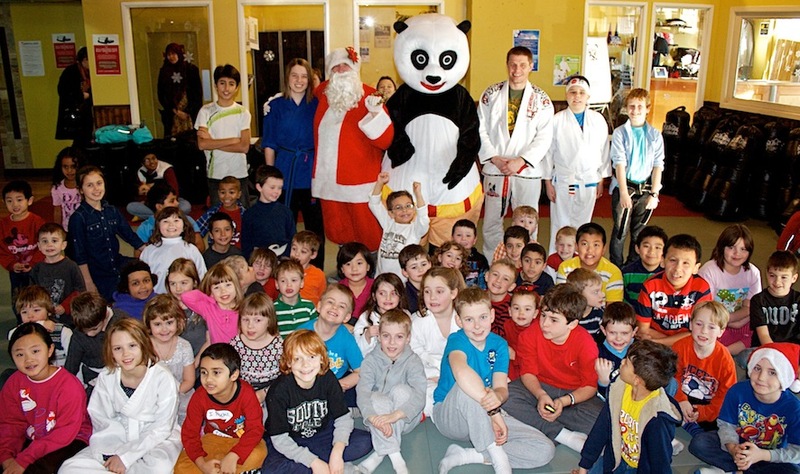 We even had a surprise visitor that day, K2 Panda and Mr. Santa Claus who greeted everyone and made sure they were available for pictures (see below for instructions on how parents can download photos). 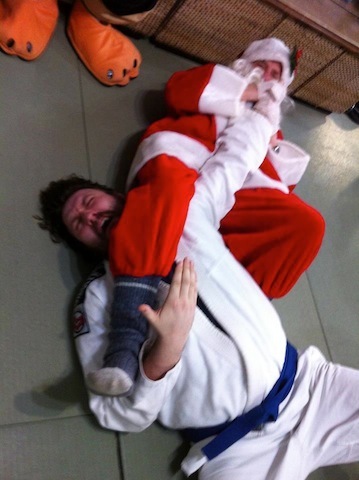 Santa was so caught up in the grappling class that he too decided to participate. All in all, it was a great time at K2 Martial Arts. We’ve uploaded all the individual and group photos to our secured members section to allow parents to download them.